As we finally get to the end of the season and the end of this series, we see some interesting results when looking at pitchers. Pitching runs created are similar to runs created for batters and here we see some fascinating results. National League rankings were done according to those pitcher runs created and some big names were likely left off of the list. Some will be in a position other than what we think. However, the exact position of the pitchers is not as important as where they were in the Yahoo rankings prior to the season. Again, we can have the debate over who the Cy Young Award winner should be at another time. For most, Clayton Kershaw is the obvious winner, but the pitcher runs created statistic would indicate someone else should win. In the breakout series, Kershaw is not a consideration anyway. We are looking for pitchers that were unheralded before the season and managed to surprise us all. 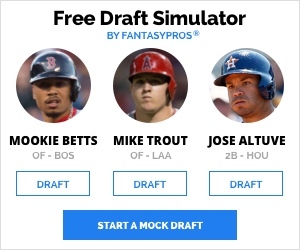 As we saw with the American League pitchers, there is a difference between who performs well in the standard 5×5 fantasy numbers and who performs well according to the advanced statistics we like to use. We will have plenty of time in the offseason to reevaluate all of the starting pitchers. When we discussed the American League pitchers we discussed briefly some of the problems with looking at wins for starting pitchers. We will see that prominently this time around as well. 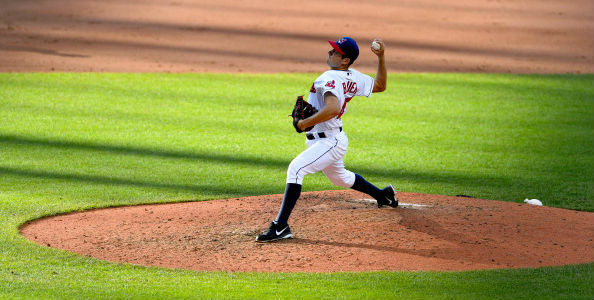 Simply put, there are just too many factors outside of the pitcher’s control to put any real stock in the results. So, most of our considerations for breakout pitchers of the year will come from the other categories. Bill James’ Pitcher Runs created has Johnny Cueto as the National League leader. Does this mean he should win the Cy Young Award? I don’t think we should go that far, but we should look into why that happened. The primary reason is because Cueto has nearly thirty innings on Clayton Kershaw and therefore we can chalk that up to his durability this season. This is interesting because Cueto’s lack of durability is the primary reason why he fell into the 12th and 13th round in most people’s drafts. Unlike some of other pitchers on our list, Cueto has been amongst the league leaders before, but 2013 saw him miss most of the season because of injury. So, it is understandable why many fantasy players stayed away. That isn’t likely to happen again next season. Of course, where he goes largely depends on your perspective. 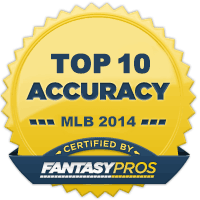 If you take 2014 by itself he might be one of the first ten pitchers taken. If you take that season in concert with his other seasons, he isn’t likely to go that high. We really shouldn’t be surprised that the Nationals reclaimed the National League East considering that they have three starters among the top ten in the National League. This doesn’t even include Gio Gonzalez. 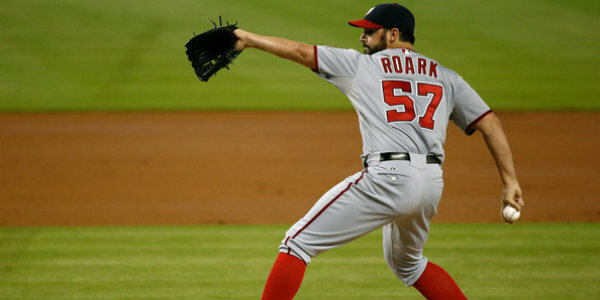 Roark is just one of many young arms in the Washington system and he seemed to come of age this season faster that most experts thought he would. Additionally, unlike many of the others on the list, Roark might be the most likely to fall back next season. Still, he went undrafted in most leagues this season, so he definitely registers as a breakout. I would be careful where placing him on the predraft list next season. His low strikeout total isn’t alarming, but indicates that he could slide back next season. Add to that the high rate of injuries in the second full season of pitching at the big league level and you get enough reason to pause. When the dust settles, Hamels will end up with three or four fewer starts than he has in years past. He missed those starts at the beginning of season and has seemingly gotten stronger as the season has gone on. Still, he has only nine victories. This is a perfect example of how wins and losses are more or less irrelevant. So many no decisions have come this year in spite of some wonderful performances. So, fantasy players will be tempted to drop Hamels down on their list because of the lack of wins. The Phillies are a team on the decline, but fantasy players need to remember that wins only accounts for one of the four major categories. Some leagues employ quality starts as a category and he has 23 of those. That’s 23 of 28 starts as of this writing. That’s about as good as it gets.